Allergy treatments that are given may differ depending on the type of allergy you have and the severity of your condition. For allergies that are not severe, over-the-counter medications can be purchased to help treat your allergies. However, if you suffer from a severe allergic reaction, it is best to consult your allergist. Antihistamines - These drugs are used to decrease the effects of histamine which causes allergy symptoms when it binds to receptors on certain cells in the body. This medicine is for treating allergy symptoms such as watery eyes, sneezing, and runny nose. Nasal Steroids Aerosols - Just like antihistamines, these are used to treat allergy symptoms which includes watery eyes, sneezing, and runny nose. They work by reducing inflammation and mucus in the nasal passageways. 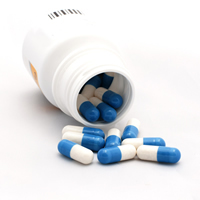 Antibiotics - These types of drugs are given to provide symptomatic relief, especially with sinus infections that may be triggered by allergies. Inhaled Asthma Medications - These medications help normalize the mucus you produce, your airway hypersensitivity, and the swelling and tightening of your bronchial tubes. Being able to track your symptoms and the side effects of your medication can help you have long lasting allergy or asthma relief. It is important that you know when to adjust your medications and to recognize when to see asthma and allergy doctor.